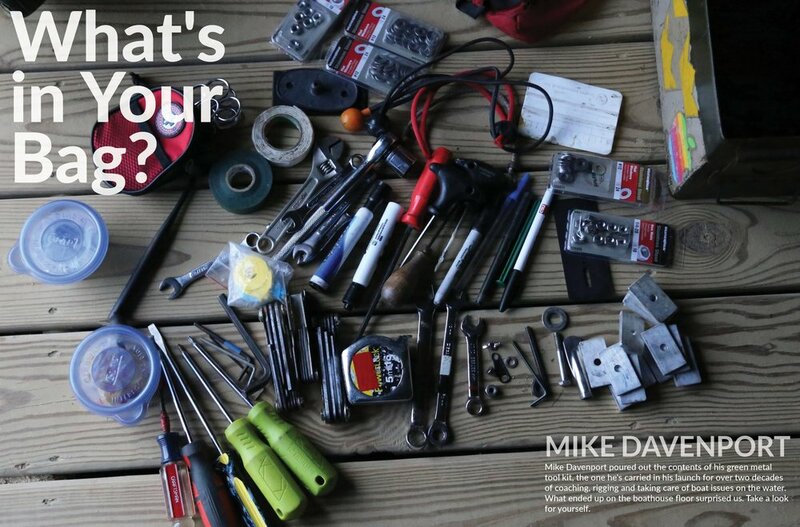 Mike Davenport poured out the contents of his green metal tool kit, the one he's carried in his launch for over two decades of coaching, rigging and taking care of boat issues on the water. What ended up on the boathouse floor surprised us. Take a look for yourself.